Before you begin shopping for the essentials, stop and consider what you will use your spaces for most. Will you cook in a lot? Do you love to read or need to study? Will you want to entertain groups or just a few at a time? This will help you think about what kind of décor and household items you need first. 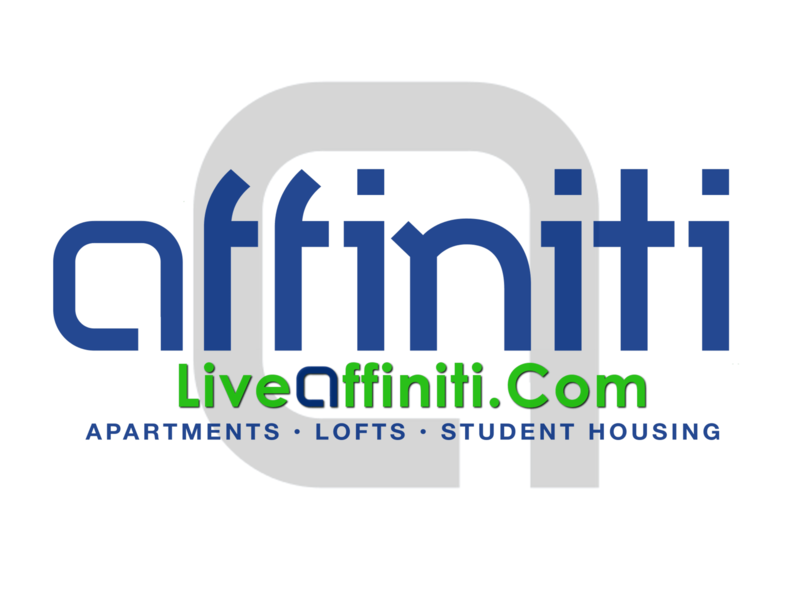 Affiniti Management offers student housing that is fully furnished so you don’t have to worry about the furniture! Put out the friendly PSA to your friends and family that you will be off to college and needing household items! You might be surprised what kitchen items, decor, book shelves and linens your family will proudly offer to send with you. It never hurts to ask, right? While your lease agreement does not allow you to paint the walls in your apartment, you can incorporate color in many ways including curtains, rugs, pillows, bedding and wall décor. Don’t be afraid to mix and match a few colors to give your room some pop! Use the 60/30/10 rule for color and you’ll never go wrong – 60% your primary color, 30% accent color #1, 10% accent color #2. Use soft lighting for an inviting space, and make sure there is plenty of it! Lamps are a great way to make your space feel more like home. Get your big items before going after accent pieces. Remember to think big picture and don’t feel like you have to have everything at one time. secure web browser You can add on as you go, ask for things for Christmas or your birthday and take it slow as your tastes may change. Go for the basics first, just like you would with your wardrobe. Remember that many times one larger statement piece (like a picture or plant) will make a bigger impact than several smaller ones.